Don't call Dorothy Hoenig lucky. She considers herself blessed. The 71-year-old Mesquite grandmother had her prayers answered Wednesday morning after she accidentally drove her sport utility vehicle into a flooded intersection. Hoenig turned off Interstate 635 onto Park Central during her morning commute. It was dark and she didn't think anything about her commute because it's the same path she's traveled for years, she said. But the overnight rain had turned the intersection into a small lake. 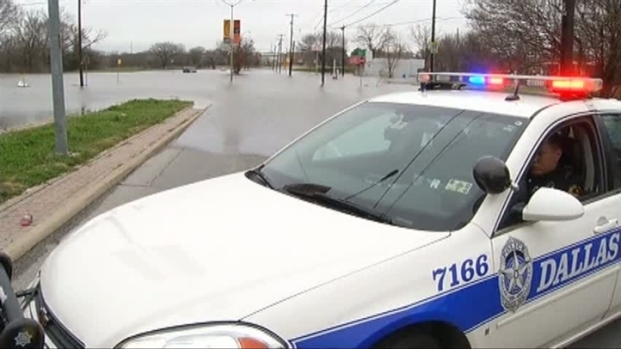 Driver: "Next Thing I Knew, I Was Swept Out"
The driver of a sport utility vehicle caught in high water in Dallas says she can't swim and hates water. "I didn't have time to think of anything else," Hoenig said. "Next thing I knew, I was swept out." Hoenig said she immediately noticed water seeping into her car. She grabbed her phone, called 911 and immediately started thinking about her grandson. "'God's in control' -- that's what I was thinking, sitting there in that car this morning," she said. 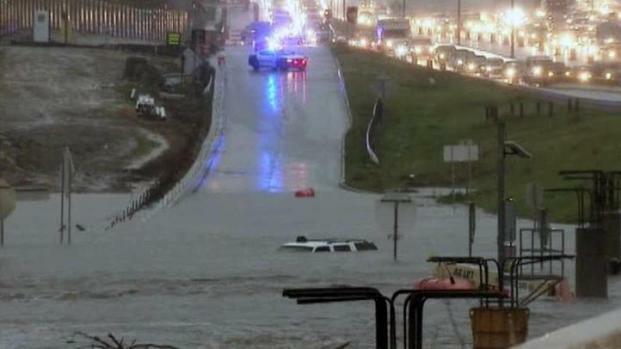 The City of Dallas closed roads after heavy rains flooded intersections. Hoenig, who said she can't swim and hates water, was rescued by Dallas firefighters a few minutes later. "I was just taking deep breathes and thanking the Lord that I had a fireman there," she said. But don't expect Hoenig to take a day off to count her blessings. She rented a pickup truck and plans to travel the same road to work on Thursday morning.